The rise of 'super-routers' has not gone unnoticed. Offering more extensive coverage and potentially much higher throughput than those bundled by ISPs, the best routers, often equipped with USB ports, function as mini NAS boxes by enabling you to share content across the network. And though range and speed are improved, getting great, consistent signal everywhere in a larger home can still be troublesome. This is where range extenders often come into their own, effectively connecting multiple smart devices, wherever they may be, to the Internet. Though a passable solution, these extenders often reduce the available bandwidth in half, while additional access points need to be physically connected to the main router. What to do, eh? This is where mesh networking has carved a niche for itself. In simple terms, a premium system comprises multiple routers that work together to form a single meshed network, hence the name, that offers reliable WiFi coverage for larger homes, thus eliminating any potential dead spots that occur from running a single router in one location. 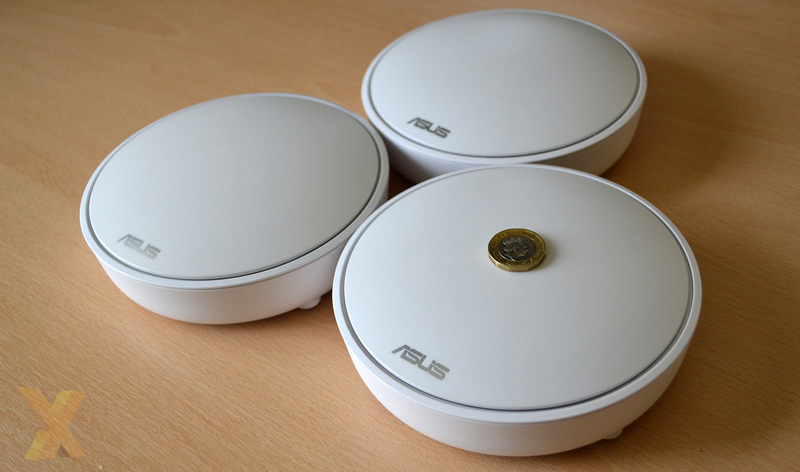 Jumping into this arena is Asus, whose premium Lyra mesh networking system offers 'corner-to-corner WiFi' through a trio of AC2200 tri-band routers currently priced at around £320. A cheaper trio known as Lyra Mini and limited to AC1300 speeds is also available for around £60 less. The Lyra trio of routers looks smart and are well made. 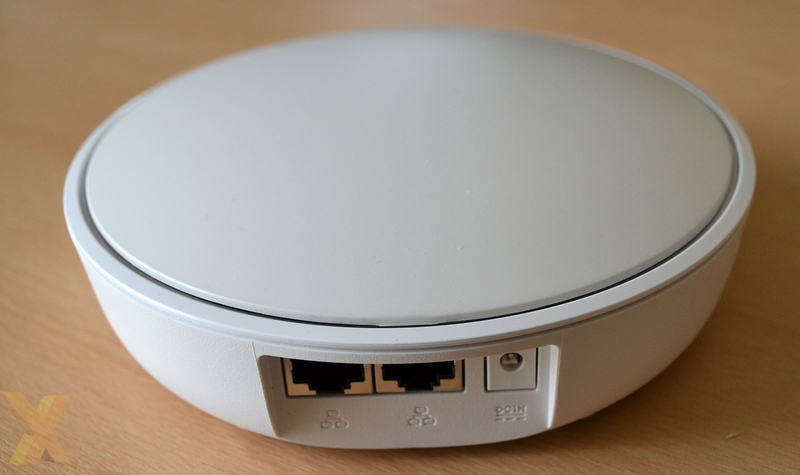 Though not the smallest around, with each measuring around 150mm in diameter and 50mm high, you should be able to hide them more easily than taller models such as the Linksys Velop or Netgear Orbi. Helping in this regard is the 2m-long power cables for easy placement near any plug socket. What you can't see is the status-indicating LED lighting built into each disc. It pulses a number of colours - this is one product without RGB, thankfully - during the initial boot, a solid white when ready to pair, and a solid cyan if everything has gone tickety-boo and you're connected to the network. 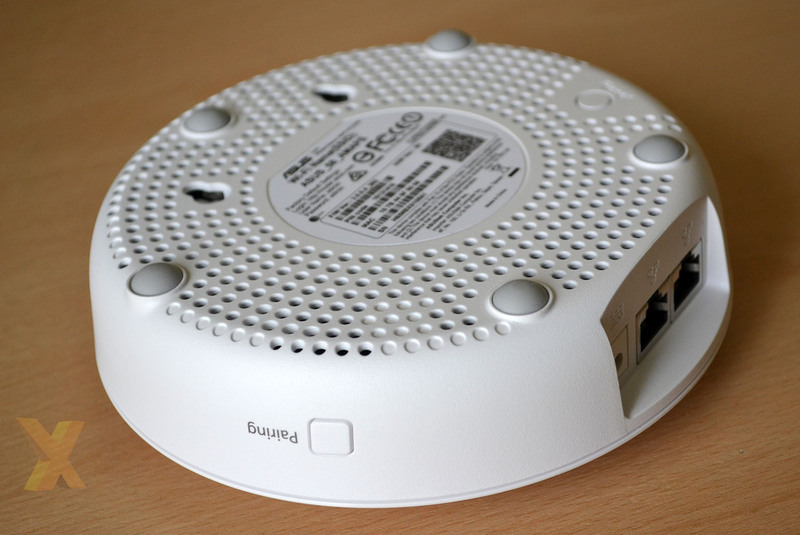 Each disc features two Gigabit LAN ports for wired access but note that the main router, connecting to your home modem and differentiated from the other two by a blue label just above the ports, reserves one of the LAN ports as a WAN. No biggie, but good to know. There's no USB port, however, so no sharing printers or using it as a rudimentary NAS. Speed and coverage are two key selling points. Asus uses the 2x2 Mimo protocol on each disc, offering tri-band 802.11ac throughput for impressive aggregate speeds. In detail, there's a 2.4GHz band (400Mbps) and two separate 5GHz bands (867MHz apiece) for a total of 2,134MHz (or close enough to AC2200), but that's something of a misnomer as Lyra reserves a 5GHz band for communication between discs in a process known as backhaul. It is important to understand that this three-piece Lyra is aimed at very large homes. Each disc is reckoned to cover a 2,000 square-foot area, which is comfortably larger than most UK houses, and adding further discs increases the effective mesh by another 2,000 square foot. On the face of it, this Lyra set seems best suited to having seamless WiFi coverage if you have an old house with uber-thick walls or need effective signal in an outbuilding workshop or garage: the fact of the matter is that most UK domiciles cannot take advantage of its purported reach. Heck, if you do happen to have a huge house, another two can be added, for a total of five, for immersive meshing everywhere. On the security side of things, there's WPA2 protection and, teaming up with Trend Micro, Ai Protection Pro that's common on Asus routers.